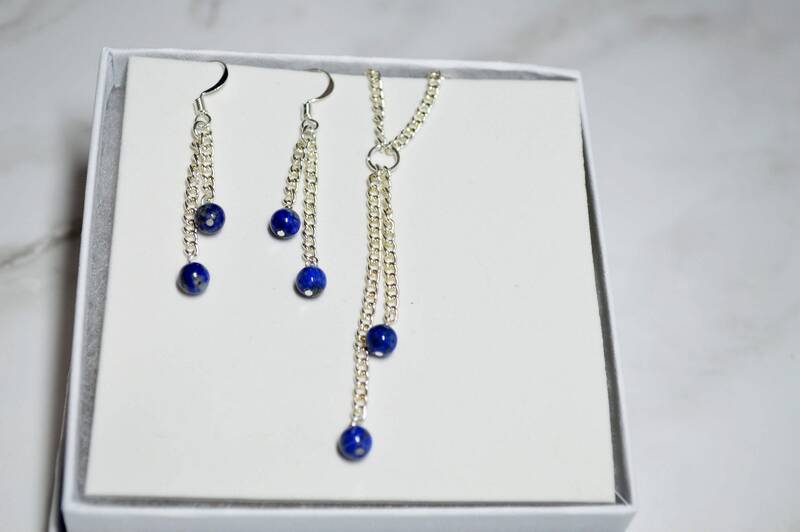 This minimalist jewelry set features 4mm blue lapis lazuli gemstones. 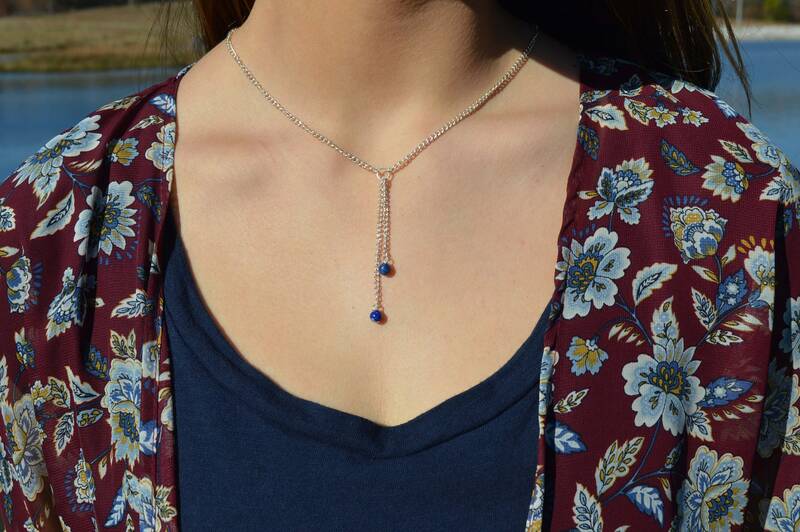 The Y necklace is very soft and delicate. 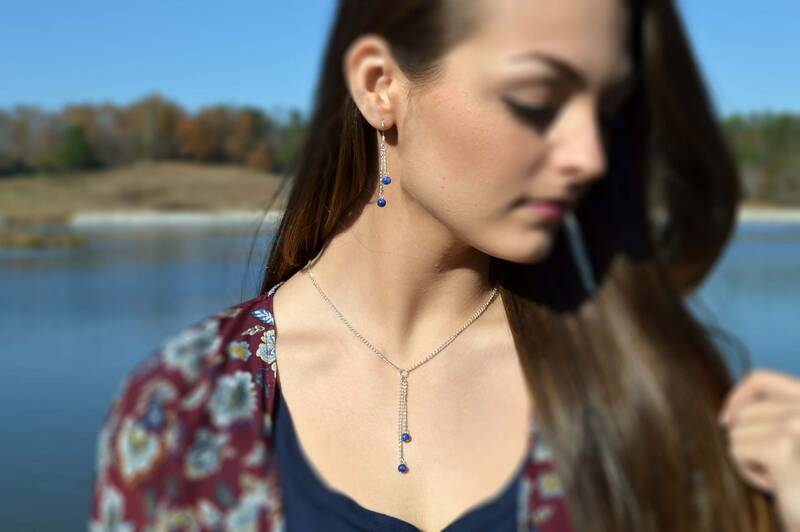 It looks amazing paired with your v-neck blouse, jacket or sweater - or wear it with a high cut neckline. 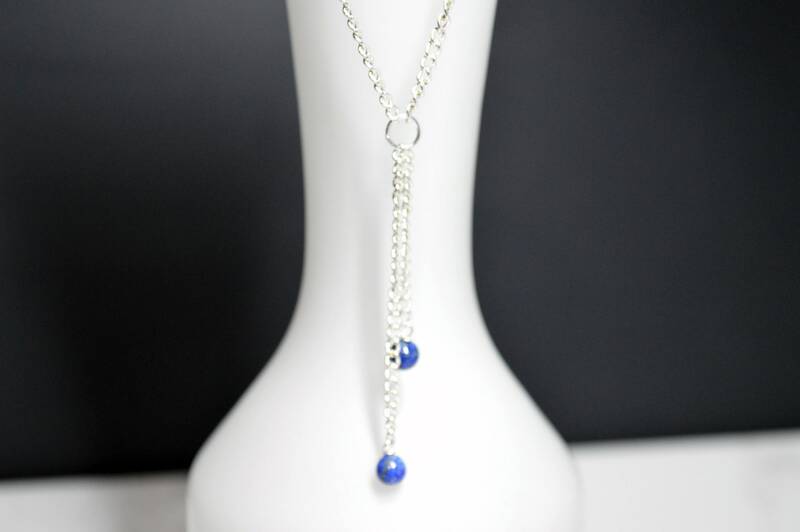 The double drop portion of this piece measures approximately 2.5" *Select your necklace size at checkout or contact me for a custom size! 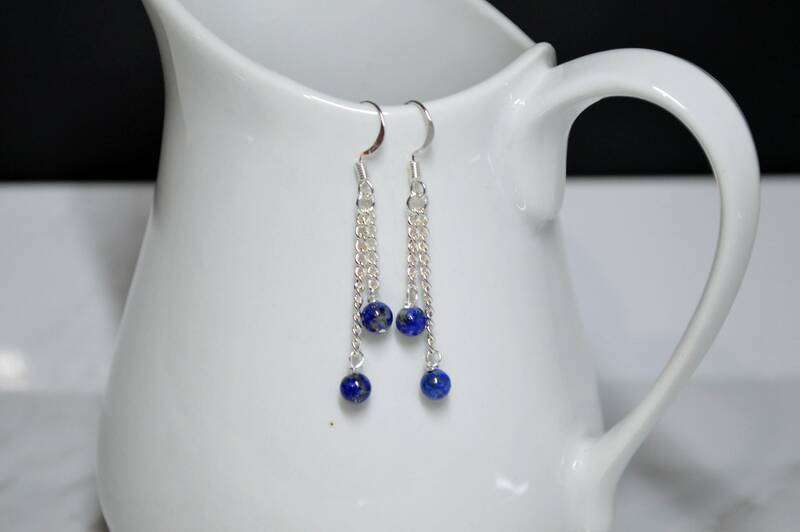 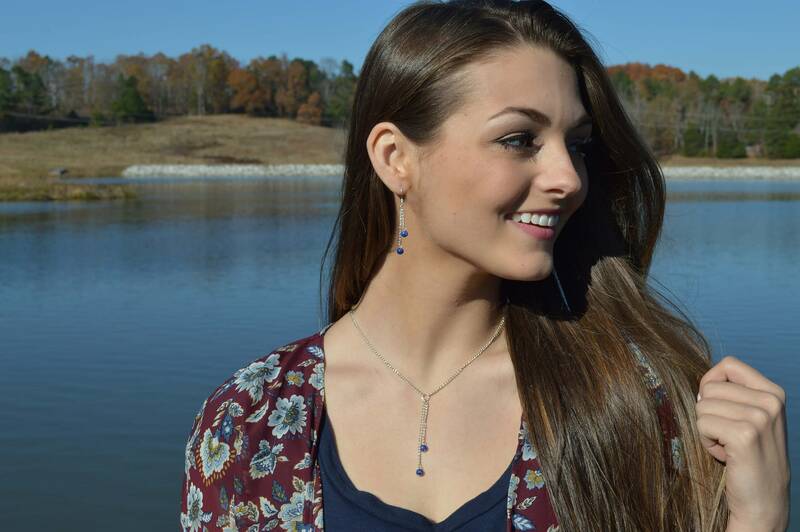 The 2 drop dangle earrings also feature 4mm lapis lazuli gemstones and are suspended from sterling silver chain. 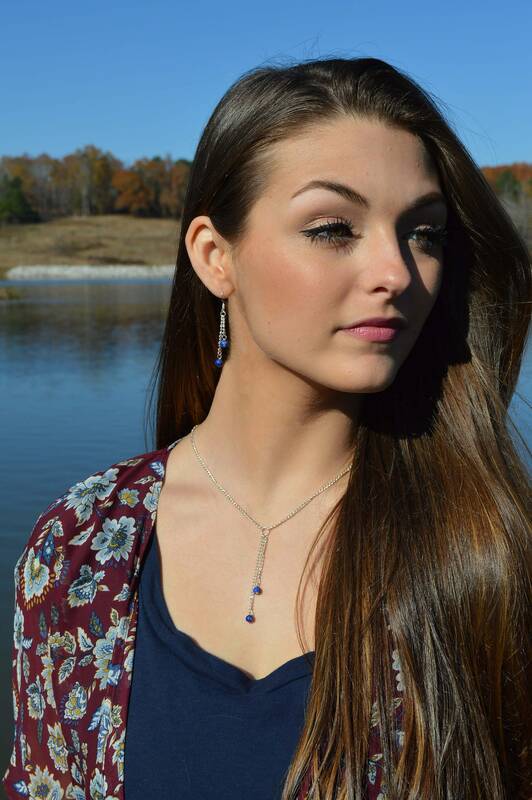 They measure approximately 2".